Nearly every culture across the ages has had it’s own search for agelessness, and it’s own “miracle” treatment for wrinkles. Ultimately, all wrinkles are caused by the loss of elastin and collagen in the skin and by loss of structure in the face (muscle loss, fat atrophy, bone loss). As we age, we are prey to a whole host of changes in our body which lead to looser skin, BUT our skin also reveals how we have taken care of it in terms of sun exposure and lifestyle (smoking/drinking). Some wrinkles appear in places due to our natural facial expressions (smiling, frowning, squinting). Inhibiting our facial expressions is clearly not a good option, so what else can we do? The answer is simple: say no to tanning beds, sunbathing, and smoking, and yes to healthy eating, hydration, and a preventative anti-aging regimen. An ideal combination includes daily sunscreen, and occasional retinols and/or glycol acids. Consider antioxidants and peptides as well. Love Your Sunglasses: In addition to sunscreen, keep those peepers covered up! Hold The Salt: Foods that contain a lot of salt, MSG, or artificial sweetener can contribute to puffiness around the eyes. Cool It: To help reduce swelling and puffiness, you can put your anti-aging eye product in the refrigerator to cool it down. Cool wet tea bags placed on the eyes, (particularly green tea) can work wonders on tired, puffy eyes. Apply Daily: The last stop on the road to younger-looking eyes? The right product, used daily. You’ll have the best results with an anti-aging serum or cream that’s formulated just to the eye area. 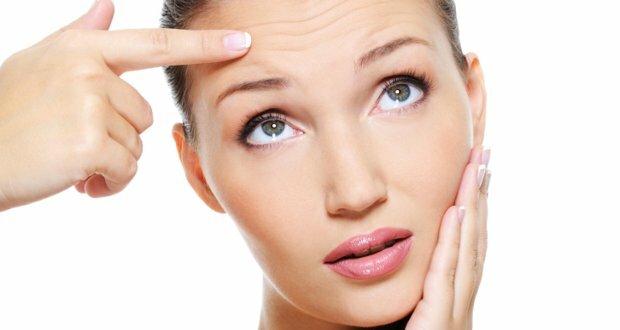 Need some help understanding, combating, or just minimizing your wrinkles? Schedule your appointment today. We can customize a treatment for you, and recommend the best and safest products to help you achieve the results you desire.